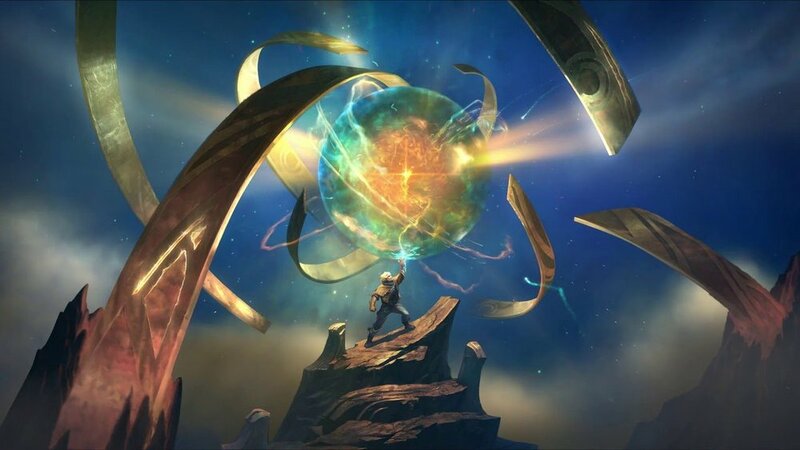 Last year, a player named Bryan made a wish through the Make-A-Wish Foundation to visit Riot HQ in Los Angeles and create a skin with Rioters for his favorite League champion. The result was Dark Star Cho’Gath. In celebration of our collaboration with Bryan, from July 13 through August 10, 2018, players will be able to give back to their local communities with 100% of proceeds from Dark Star Cho’Gath skins, icons, emotes, and bundles going to GlobalGiving, our nonprofit partner. GlobalGiving will then distribute grant funding on a proportional basis from sales in participating regions to over 20 nonprofits around the world, with each organization receiving a minimum of $10,000 (USD). At the end of the fundraiser, the skin, icon, and border will leave the shop. 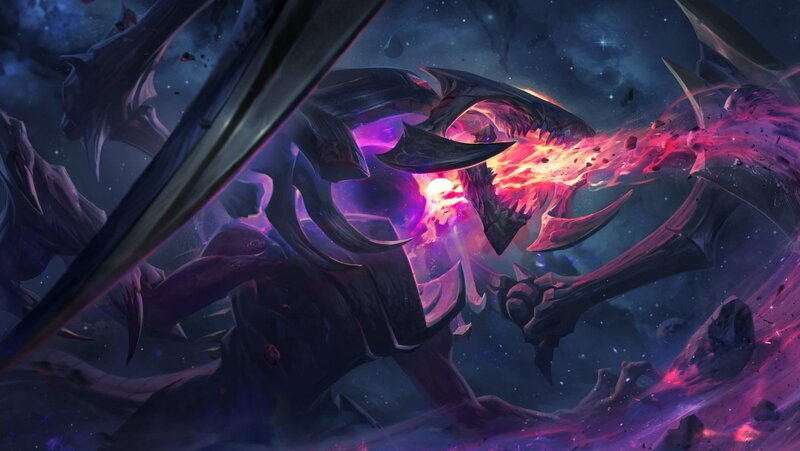 Dark Star Cho’Gath will eventually return as a Gemstone skin, but all related content will only be available as part of this fundraiser. When Make-A Wish told us about Bryan, he was recovering from osteosarcoma, a form of bone cancer. His family told us that during his cancer treatments, Bryan’s parents gauged how he was feeling by counting the number of games of League of Legends he played. On bad days, Bryan wouldn’t even log on - but then, slowly, Bryan started playing one game a day, then two, then three. Eventually, his cancer went into remission and Bryan hit Platinum 5. A team of Riot volunteers brainstormed with Bryan through a series of emails and video chats prior to his visit. When he arrived in Los Angeles, Bryan provided his feedback to an early version of Dark Star Cho’Gath, playtested upcoming content, and even recorded a new piece of Cho’Gath-themed music featuring him on clarinet (BTW Bryan is also a badass clarinetist). At the end of our work with Bryan, we knew the end result was too good to keep local to Bryan’s machine, so we’re bringing Dark Star Cho’Gath to players around the world. The League community came together during the 2017 World Championship charity fundraiser to raise $2.4M to support 3 global nonprofit organizations. 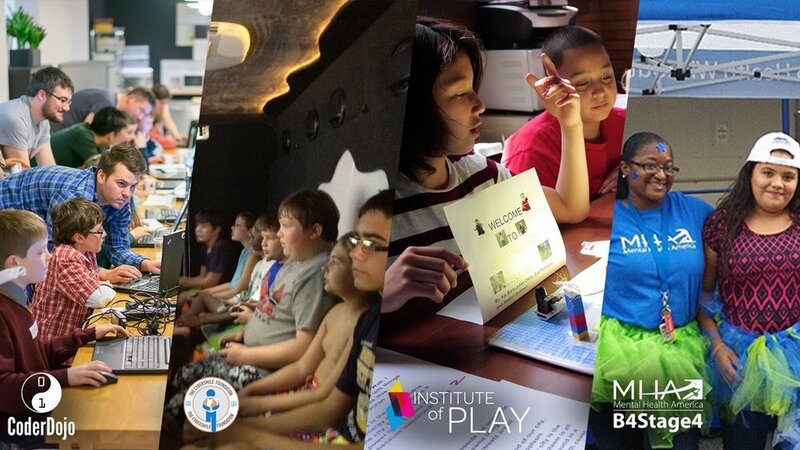 This year, we wanted to empower players to connect with organizations making an impact in their local communities. Supporting over 20 nonprofits operating all over the world is super complicated (so many contracts! ), so we partnered with GlobalGiving to streamline the process. Riot will cover GlobalGiving’s service fee so 100% of players’ contributions go to the local nonprofits. Here’s the global list of nonprofit organizations we selected with help from our regional offices. We used recommendations from local Rioters in each region and data from our player values research to help guide our org selections. Thank you to Bryan, The Make-a-Wish Foundation, and players for all your support. Hope you guys have as much fun playing Dark Star Cho’Gath as we had making him. GLHF. So what can a video game company do to help encourage players to be good Samaritans? Back in October of 2016, we sounded a call to League players to join with us and Omaze to support four social causes with the Impact Challenge.